Bishop da Cunha’s 2019 Easter Message “If Christ has not been raised, then empty is our preaching; empty, too, your faith” (I Cor. 15:14). hanks be to God for Easter! We need the light, the joy, the Spirit of the Risen Lord to help us move forward in faith and hope. When we look at the world around us and see violence, discrimination, division, injustice, we may be discouraged by all these evils and the bad news all around us every day. We may be disappointed by the failings of our leaders, both civil and ecclesiastical; we may also be discouraged by the lack of commitment to the faith on the part of many people, especially the younger generation; we may be saddened by an alarming number who increasingly say that they no longer need to go to church or believe in God or feel the need to practice any religion; we may be disheartened by the suffering around us, maybe in our own lives or in our families and neighbors. In the midst of all these negative aspects of our imperfect world, we may lose sight of what God has done and continues doing for us. And so, it is the Resurrection of Jesus that gives us hope. We may be discouraged by the prospect of a future where planet Earth, our common home, and all the natural resources in it, may be threatened and not readily available for future generations resulting in an unhealthy living environment. We may be discouraged by a political system that fosters division in our own country; we may feel discouraged by the number of people who are losing their homes, are forced to flee their countries, causing family separation due to violence, war, poverty and political turmoil; people who have become refugees or unwelcome migrants. In the midst of all these evils we may still find reason for hope because Jesus rose from the dead. We may be saddened by the closing of our beloved churches, changes in our neighborhoods, the increasing number of deaths by young people from opioid overdose, but in the midst of all this we still can find joy because Jesus rose from the dead. The Resurrection of Jesus impacts everything we say, everything we do and the way we live. It reminds us that Jesus is the Son of God, our Messiah and Savior. It makes Him credible, because everything He said and promised came true. Let us listen to the witnesses of the Resurrection: Matthew, Mark, Luke, John, Peter and Mary Magdalene. Let them remind us of what Easter is about. Easter is an invitation for all of us to pass from darkness to light, from despair to hope, from sin to grace, from slavery to freedom. In the midst of anxieties, fears, disillusions and disappointments, we can find courage because Jesus rose from the dead. My hope and prayer for all of you this Easter is that our faith in the Resurrection of Jesus will be as strong and as real as the Apostles experienced and proclaimed. “If for this life only we have hoped in Christ, we are the most pitiable people of all” (I Cor. 15:19). Published biweekly by the Catholic Press of the Diocese of Fall River, 887 Highland Avenue, Fall River, MA 02720, Telephone 508-675-7151; FAX 508-675-7048; email: theanchor@anchornews.org. Subscription price by mail, prepaid $25.00 per year for U.S. addresses. Send address changes to 887 Highland Avenue, Fall River, MA, call or use email address. 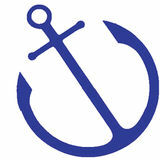 PoStmaSters send address changes to The Anchor, 887 Highland Avenue, Fall River, MA 02720. THE ANCHOR (USPS-545-020) Periodical Postage Paid at Fall River, Mass. of this Divine beneficence. Rich, therefore, and powerful as it appears, that society bears within itself the seeds of death, and cannot hope for a lengthy existence. It is, indeed, with Christian peoples as with individuals; it is safety to follow the counsels of God, it is danger to fall away from them. These facts are to be found in history; and We could cite to you more recent instances, even in your own country, had We the time to recall the events seen by a previous generation, when the impiety of the mob shook France to its very foundations, and Church and State perished in the same destruction.” After the Nov. 13, 2015 terrorist attacks in Paris and suburbs, in which more than 100 people were killed, Pope Francis led pilgrims in St. Peter’s Square in prayer. “May the Virgin Mary, Mother of Mercy, plant in the hearts of all thoughts of wisdom and resolutions of peace. Let us ask that she protect us and watch over the beloved French nation, the first daughter of the Church, over all of Europe and the whole world.” Tuesday Archbishop Michel Aupetit of Paris invited his people to come to the Chrism Mass at the Church of Saint-Sulpice. He wrote, “It will be an opportunity for all of us to show our unity, our fervor and our confidence in the future. We feel that we will not only have to rebuild our cathedral but also rebuild our Church whose face is so wounded.” Here he is reminding the people of the need to rebuild the Church as the Mystical Body of Christ, not as merely a physical building. The face is wounded due to our sins, both those of the laity and of the clergy (which is all the more scandalous and about which Christ warned severe punishment). The archbishop wanted to have people be aware that bricks and mortar will not bring healing, but repentance and holiness will. The archbishop knows that this rebuilding is a long process and often will require “baby steps” to get people to start walking along the path of Christ, our Way, Truth and Life. He suggested, “I propose to all persons of good will that they put in their window on the night of Easter, a candle as we will do in all our churches by beginning the Easter Vigil with the rite of the new fire.” What he proposed is a simple thing which anyone could do, even someone who is not churchgoing or even a believer. We did this here in the U.S. a few nights after 9-11. He is also trying to plant a seed, getting his audience to wonder what this “new fire” is all about. He continued, “It means that the light illuminates the darkness, that life definitely triumphs over death. Dear brothers and sisters, dear friends, let this tragedy allow our country to find a happy unity so that we can build together what is written on the pediment of our public buildings: fraternity. We believe that it has its origin in the Fatherhood of God, source of all love.” May we Catholics here see what we can do, in our own lives and as a community, to help in the rebuilding of the Church, thus living the rebirth we celebrate at Easter. Daily Readings † April 20 - May 3 Sat. Apr. 20, Holy Saturday: Gn 1:1—2:2 or 1:1,26-31a; Ps 104:1-2,5-6,10,12-14, 24,35 or Ps 33:4-7,12-13,20-22; Gn 22:1-18 or 22:1-2,9a,10-13,15-18; Ps 16:5,8-11; Ex 14:15—15:1; Ex 15:1-6,17-18; Is 54:5-14; Ps 30:2,4-6,11-13; Is 55:1-11; Is 12:2-6; Bar 3:9-15,32—4:4; Ps19:8-11; Ez 36:16-17a,18-28; Ps 42:3,5; 43:3-4 or Is 12:2-3,4bcd,5-6 or Ps 51:12-15,18-19; Rom 6:3-11; Ps 118:1-2,16-17,22-23; Lk 24:1-12. Sun. Apr. 21, Easter Sunday: Acts 10:34a,37-43; Ps 118:1-2,1617,22-23; Col 3:1-4 or 1 Cor 5:6b-8; Sequence Victimae Paschali Laudes; Jn 20:1-9 or Mt 28:1-10 or, at an afternoon or evening Mass, Lk 24:13-35. Mon. Apr. 22, Acts 2:14,22-33; Ps 16:1-2a,5,711; Mt 28:8-15. Tues. Apr. 23, Acts 2:36-41; Ps 33:4-5,18-20,22; Jn 20:11-18. Wed. Apr. 24, Acts 3:1-10; Ps 105:1-4,6-9; Lk 24:13-35. Thurs. Apr. 25, Acts 3:11-26; Ps 8:2ab,5-9; Lk 24:35-48. Fri. Apr. 26, Acts 4:1-12; Ps 118:1-2,4,22-27a; Jn 21:1-14. Sat. Apr. 27, Acts 4:13-21; Ps 118:1,14-15ab,16-21; Mk 16:9-15. Sun. Apr. 28, Second Sunday of Easter: Acts 5:12-16; Ps 118:2-4,13-15, 22-24; Rv 1:9-11a,12-13,17-19; Jn 20:19-31. Mon. Apr. 29, Acts 4:23-31; Ps 2:1-3,4-9; Jn 3:1-8. Tues. Apr. 30, Acts 4:32-37; Ps 93:1-2,5; Jn 3:7b-15. Wed. May 1, Acts 5:17-26; Ps 34:2-9; Jn 3:16-21. Proper Gospel for Joseph: Mt 13:54-58. Thurs. May 2, Acts 5:27-33; Ps 34:2,9, 17-20; Jn 3:31-36. Fri. May 3, 1 Cor 15:1-8; Ps 19:2-5; Jn 14:6-14.
xcept among the devout who live Holy Week as a Sacred octave, Monday of Holy Week is normally low-key, a day seemingly like any other, when believers and nonbelievers succumb to the practical atheism of living as if God were absent. Not this year. When Notre Dame Cathedral in Paris, Christianity’s second-most famous Church, was ablaze and risked being reduced to ashes, it was impossible to forget God. Many across the world stopped and turned sad eyes toward the live images coming from the banks of the Seine. Believers and non-believers prayed that by some miracle the water would outpace the flames and the munificent 859-year-old sanctuary would see its 860th year. Those who had visited Notre Dame and been touched by its soaring beauty were sentimental, grateful for their past visits but feeling profound emptiness that they might never have that experience again. Those who had never visited perhaps felt the impending loss even more. Notre Dame was called by Pope Benedict in 2008 a “living sign of God’s presence in our midst.” It was a vivid witness to the faith and love for God, combined with more than a century of hard work and ingenuity, that built it. Visited by 13 million a year, it was a place where, across the centuries, saints and sinners convened, as they were introduced into a universe far more expansive than the French Gothic shrine’s physical dimensions. Jesus replied, “and in three days I will raise it up.” The leaders retorted, “This Temple has been under construction for 46 years and you will raise it up in three days?” But St. John tells us that Jesus was speaking about the “Temple of His Body” (Jn 2:13-22). Jesus is the true Temple. In Him God has taken flesh and dwells among us. In Him, God and man, Heaven and earth, are in touch. As His Body is “destroyed” in crucifixion and death, as He is lifted up from the earth, He draws all to Himself (Jn 12:32) and by giving His Body and pouring out His Blood for our Redemption, He seeks to unite us as one Body, one Spirit, one Temple. His Resurrection on the third day was the rebuilding of the true and definitive temple and the most basic cause of hope. This hope should pervade the reconstruction of one the world’s most beautiful images of that destroyed and raised temple, where God wishes to engage us in ceaseless dialogue. It should also inform the rebuilding project in each of us and in all of us together, made by Baptism true temples of God. Holy Week, especially the Sacred Triduum, is the culmination of that restoration. And Our Lady is present, at the foot of the cross, in the midst of the destruction, praying with anticipation for that resurrection. Father Landry can be contacted at fatherlandry@ catholicpreaching.com. John Paul II and Patriarch Dinkha IV of the Assyrian Church of the East signed a “Common Christological Declaration.” On July 20, 2001, the Holy See issued a document, in agreement with the Assyrian Church of the East, named “Guidelines for Admission to the Eucharist between the Chaldean Church and the Assyrian Church of the East”, which confirmed also the validity of the Anaphora of Addai and Mari. In 2015, Patriarch Louis Raphael I Sako proposed unifying the three modern Patriarchates into a re-established Church of the East. Thus we have briefly introduced the East Syrian Rites of the Catholic Church. The West Syrian Rites are known as Antiochian, Malankar, and Maronite. The Maronite Rite is represented by two parishes within the territory of the Diocese of Fall River. Father Martin L. Buote is a retired priest of the Fall River Diocese and a frequent contributor to The Anchor. they had actually come to clean the walls of my bathroom which frequently become afflicted with mold. After they had completed wiping and scrubbing those walls, they emerged unscathed by the chemicals they had used and began cleaning the walls of the living room where the paint had been peeling off, like the whitewash on the walls of an Irish cottage, or some poor quality breakfast corn flakes. These walls had not been very appealing. ried me to the Kauhako crater on numerous occasions. Now no string or ribbon could save my sole and by the time we had finished our work, it had departed from my shoe. It had given its all in service. Its work was completed. The young men and women of Singles for Christ had enjoyed their service days for the church and the next day we joined them at St. Philomena for Sunday Mass celebrated by their chaplain, Marianist Father Patrick McDaid. They sang with great fervor and gusto and, while they had come to Kalaupapa as part of their desire to better themselves and save their souls, they also inspired us resident older ones in our mission to save our own souls and other souls as well. Aloha. Anchor columnist Father Patrick Killilea, SS.CC., is pastor of St. Francis Parish in Kalaupapa, Hawaii. reading hearts, he soon became a “prisoner” of the confessional, hearing Confessions for up to 18 hours a day, as people came from across Europe and beyond to see him. Father John Vianney died on Aug. 4, 1859, at the age of 73. Nearly 1,000 people attended his funeral, including the bishop and priests of the diocese. On Oct. 3, 1873, Pope Pius IX proclaimed him venerable, and on Jan. 8, 1905, St. Pius X beatified him. St. John Vianney was canonized by Pope Pius XI on May 31, 1925. In 1929, the Holy Father declared him patron of parish priests. His feast day is August 4. The Knights of Columbus is hosting the tour and welcomes this special opportunity to view and venerate this relic of the patron of parish priests, whose holiness and integrity is a model for clergy and laity alike. For more information about St. John Vianney and the relic tour, visit www. kofc.org/vianney. A statement of the Roman Catholic Bishops of Massachusetts The Massachusetts State Legislature will consider passing into law two deeply troubling bills this legislative session. They are identical in text but differ slightly in their titles. The first, (HB 3320) is “An Act removing obstacles and expanding access to women’s reproductive health.” The second, (SB 1209) is “An Act to remove obstacles and expand abortion access.” Combined they share the same acronym — ROE. The supporters of these bills argue the proposed changes to Massachusetts law are simply intended to protect a woman’s right to an abortion in the event the United States Supreme Court overturns the 1973 decision in the case of Roe v. Wade. However, in reality these bills would create a significant expansion of current Massachusetts state law. More specifically, ROE would: 1) Allow abortions during the nine months of pregnancy for virtually any reason. 2) Eliminate any requirements that abortions be performed in a hospital. 3) Eliminate the requirement that provides medical care to a child who survives an abortion attempt. 4) Eliminate the requirement that a minor under the age of 18 have the consent of a parent, guardian, or the courts. 5) Provide state funding for women who cannot afford the procedure. In order to understand the serious moral questions raised concerning the protection of human life, the specific wording of the bills must be examined closely. For example, that examination is particularly significant while considering the language that would allow for an abortion in the third trimester of a pregnancy. The two bills state in part: “A physician, acting within their lawful scope of practice, may perform an abortion when, according to the physician’s best medical judgment based on the facts of the patient’s case, the patient is beyond 24 weeks from the commencement of pregnancy and the abortion is necessary to protect the patient’s life or physical or mental health, or in cases of lethal fetal anomalies, or where the fetus is incompatible with sustained life outside the uterus. Medical judgement may be exercised in the light of all factors — physical, emotional, psychological, familial, and the person’s age — relevant to the well-being of the patient” (HB 3320, lines 27-33; SB 1209, lines 25-32). In just these two sentences, the bills would make extreme changes to Massachusetts law. In addition to aborting infants with fetal anomalies or where the fetus is incompatible with sustained life outside of the uterus, it allows physicians to perform abortions up until birth for myriad of undefined reasons (ie: physical, emotional, psychological, familial, age) to protect a woman’s life, physical health or mental health. The result would become abortion on demand for the full term of pregnancy. The Catholic Church has always upheld the dignity of human life and spoken out against abortion at all stages of pregnancy. As Bishops we are encouraged by the most recent statistics which clearly indicate that the rate of abortions in both this state and across the country has significantly decreased over the past 40 years. In fact, the rates today are 50 percent lower than the rates in 1980. However, at a time when the overall number of abortions have decreased, society cannot now accept such an egregious attack on human life as these bills would provide. Therefore, we, the Roman Catholic Bishops of the four Dioceses of Massachusetts, call on our elected officials to carefully consider the consequences that these bills would bring to the lives of infants, parents, families and the citizens of the Commonwealth. We urge all people of good will, regardless of what faith they practice, to vigorously oppose these extreme measures. takes nothing away, and He gives you everything. When we give ourselves to Him, we receive a hundred-fold in return. Yes, open wide the doors to Christ, and you will find true life.’” Pope Francis in his address to the young people at World Youth Day XXVIII, continued the theme when he said to those gathered in Rio, “Do not be afraid. Some people might think: ‘I have no particular preparation, how can I go and proclaim the Gospel?’ My dear friend, your fear is not so very different from that of Jeremiah when he was called by God to be a prophet. ‘Ah, Lord God! Behold, I do not know how to speak, for I am only a youth.’ God says the same thing to you as He said to Jeremiah: ‘Be not afraid ... for I am with you to deliver you’ (Jer 1:7,8). He is with us!” Amen. Frank Lucca is a deacon in the Diocese of Fall River, a youth minister at St. Dominic Parish in Swansea and St. George Parish in Westport, and a campus minister at UMass Dartmouth. He is married to his wife of 40 years, Kristine, and the father of two daughters and their husbands, and three grandsons. So blessed! Comments, ideas or suggestions? Please email him at DeaconFrankLucca@ comcast.net. God’s call giving themselves completely to Jesus Christ, through the specific charism, mission and responsibilities the Church has entrusted to them in the Religious Congregation they are attracted to and called to join. There are currently 88 congregations or institutes of Religious Brothers in the United States, with eight represented in the Fall River Diocese. Those working here include the Congregation of the Holy Cross; the Congregation of the Sacred Hearts of Jesus and Mary; the Franciscans; the Franciscan Friars of the Immaculate; the Institute of the Incarnate Word; the Missionaries of Our Lady of La Salette; and the Society of Divine Vocations. Just as it was during previous centuries, the Brothers continue to dedicate their entire lives to God in the ministry of service to the poor, of healing the infirm, of intercession and of teaching. A Brothers’ life is marked by daily meditation, community prayer, Liturgy and the life-giving support of the religious community, enabling the Brothers to infuse the world of today, especially the poor, the infirm and the young with the Gospel. All are invited to pray for religious orders and to share in promoting Religious Brothers Day on social media with hashtag #religiousbrothersday or by visiting the page www.facebook.com/ religiousbrothersday. vember 2000); n “Strangers No Longer: Together on the Journey of Hope,” (U.S./Mexico bishops, 2003); and n “Erga migrantes caritas Christi” (“The Love of Christ towards immigrants) (Pontifical Council for the Pastoral Care of Migrants and Itinerant People,” Vatican, 2004). “We call upon all people of good will, but Catholics especially, to welcome the newcomers in their neighborhoods and schools, in their places of work and worship, with heartfelt hospitality, openness, and eagerness both to help and to learn from our brothers and sisters, of whatever race, religion, ethnicity, or background” (“Welcoming the Stranger Among Us”). catalyst for the laity to bring into their parishes the joy and exuberance that comes from an encounter with Christ and His Holy Spirit. Parishes benefitted from their commitment to service, but soon complained that the post-retreat reunions were drawing the people away. Without the support of the parishes the movement lost its steam, and the diocese lost a powerful vehicle for evangelization. The Synod on Youth made it clear that the Church has to stop standing in the way of effective ways of bringing people to Christ. “It does not matter where they are coming from or what labels they have received, whether ‘conservative’ or ‘liberal,’ ‘traditional’ or ‘progressive.’ What is important is that we make use of everything that has borne fruit and effectively communicates the joy of the Gospel” [CV 205]. We are on the cusp of renewal in the Diocese of Fall River. We are going to emerge as a strong and vibrant Church if we take responsibility for the renewal of our own relationship with Jesus, and then pay it forward to the people around us. Don’t wait for the parish to figure this out, but get out there and do it yourself! Make a friend, be a friend, and bring a friend to Christ. Anchor columnist Claire McManus is the director of the Diocesan Office of Faith Formation. Around the Diocese A sale featuring a variety of new, used, vintage and fine jewelry plus jewelry cases, handbags, and more will be held on Saturday, April 27 from 9 a.m. to 2 p.m. at St. Julie Billiart Church Hall, 494 Slocum Road in North Dartmouth. The sale is sponsored by the Ladies Guild of St. Julie Billiart Parish. A Divine Mercy Celebration will be held at St. Margaret Parish, 141 Main Street in Buzzards Bay, on Sunday, April 28 beginning at 3 p.m. featuring the Chaplet of Divine Mercy with Benediction of the Blessed Sacrament. Our Lady of the Cape Parish invites all to a Divine Mercy celebration on Sunday, April 28. The celebration will take place as follows: 1:30 to 3 p.m. – Sacrament of Reconciliation; 2:50 p.m. – Exposition of the Blessed Sacrament; 3 p.m. – Chaplet of Divine Mercy in song, followed by Benediction, and then veneration of a relic of St. Faustina. Our Lady of the Cape Church is located at 468 Stony Brook Road in Brewster. For more information, contact Kathy at 508-385-3252, ext. 14, or email adultfaithformation2@gmail.com. The Feast of Divine Mercy will be celebrated at Our Lady of Fatima Parish, 4256 Acushnet Avenue in New Bedford, on Sunday, April 28 beginning at 3 p.m. with exposition of the Blessed Sacrament, Adoration, recitation of the Chaplet of Divine Mercy based on the Sorrowful Mysteries, and Benediction. Refreshments and pastry will be served immediately following in the parish center. All are welcome to a spring Day of Silence with the Masters on Saturday, May 18 from 9:30 a.m. to 3:30 p.m. at St. John Neumann Church, 157 Middleboro Road in East Freetown. Come spend some time in silence reflecting on the teachings of St. Josemaría Escrivá, whose teachings are especially relevant to those with full and busy lives who want to infuse a deep Spirituality into daily life as “contemplatives in the middle of the world.” For registration or more information, contact Karen Howard at klhoward@aol.com or 508-947-0193. A Divine Mercy Cenacle group meets every Monday from 9:30 to 10:30 a.m. at St. Patrick’s Church, 306 South Street in Somerset. Meetings are held in the parish center, except for holidays. Meetings include formation on the Divine Mercy message from the “Diary of St. Faustina,” readings from the Bible and “Cathechism of the Catholic Church,” and praying the Divine Mercy Chaplet. All are welcome. For more information call 508-646-1019 or 508-672-1523. St. Anthony of Padua Church on Bedford Street in Fall River will host a recitation of the Holy Rosary and Litany with the Divine Mercy Chaplet every Monday evening at 6:15 p.m. All are welcome. For more information, call the rectory at 508-673-2402. Holy Rosary Fraternity Gatherings are held in the hall of St. Jude the Apostle Church, 249 Whittenton Street in Taunton on the second Sunday of the month at 1:30 p.m. All are welcome. For more information, call 508-695-5430. The Diocesan Marriage Preparation Program needs more team couples — both newly-married and veterans (age is not a consideration) who would like to enrich their Marriage while helping engaged couples prepare for their lifetime together. The Diocesan Marriage Preparation program meets in three locations: Mansfield, Dartmouth and Harwich on Cape Cod. In each location there is a team of volunteers that facilitate three to five sessions per year. If you are interested in serving in this ministry, please contact Claire McManus at 508-6782828, ext. 19, or email cmcmanus@dfrcs.org. Eucharistic Adoration in the Diocese Acushnet — Eucharistic Adoration takes place at St. Francis Xavier Parish on Monday from 9:30 a.m. to 8:30 p.m.; Tuesday through Friday from 8 a.m. to 8:30 p.m.; and Saturday from 8 a.m. to 3 p.m. Evening prayer and Benediction is held Monday through Wednesday at 6:30 p.m. ASSONET — St. Bernard’s Parish will have Eucharistic Adoration every Monday from 9:30 a.m. to 6:30 p.m. The Blessed Sacrament will be exposed on the altar at the conclusion of 9 a.m. Mass and the church will be open all day, concluding with evening prayer and Benediction at 6:30 p.m. ATTLEBORO — The National Shrine of Our Lady of La Salette holds 6:30 p.m. Mass followed by the Chaplet of Divine Mercy Adoration at 7:15 p.m. every Wednesday evening. ATTLEBORO — Eucharistic Adoration takes place at St. John the Evangelist Church, North Main Street, Mondays and Wednesdays from 5-6:30 p.m. ATTLEBORO — Eucharistic Adoration takes place in the Adoration Chapel at St. Vincent de Paul Parish, 71 Linden Street, from 7 a.m. to 7 p.m. daily. Brewster — Eucharistic Adoration takes place at Our Lady of the Cape Church, 468 Stony Brook Road, on First Fridays from 11:30 a.m. to 7 p.m. buzzards Bay — Eucharistic Adoration takes place at St. Margaret Church, 141 Main Street, every First Friday following the 8 a.m. Mass, ending at 5 p.m. East Freetown — Eucharistic Adoration takes place at St. John Neumann Church every Monday (excluding legal holidays) 8 a.m. to 9 p.m. in the Our Lady, Mother of All Nations Chapel. (The base of the bell tower). EAST TAUNTON — Eucharistic Adoration takes place in the chapel at Holy Family Parish Center, 438 Middleboro Avenue, Monday through Friday, 11 a.m. to 10 p.m. On First Fridays, Eucharistic Adoration takes place at Holy Family Church, 370 Middleboro Avenue, from 8:30 a.m. until 7:45 p.m. FAIRHAVEN — St. Mary’s Church, Main St., has Eucharistic Adoration every Wednesday from 8:30-11:30 a.m. in the Chapel of Reconciliation, with Benediction at 11:30 a.m. FALL RIVER — St. Anthony of Padua Church, on the corner of Bedford and Sixteenth streets, has Eucharistic Adoration accompanied by music and prayer every first Wednesday of the month from 6-7 p.m. FALL RIVER — St. Anthony of the Desert Church, 300 North Eastern Avenue, has Eucharistic Adoration Mondays and Tuesdays from 9 a.m. to 7 p.m., and Thursdays following the 8 a.m. Mass until Friday at 8 a.m. FALL RIVER — Holy Name Church, 709 Hanover Street, has Eucharistic Adoration Monday through Friday from 7:30 a.m. to 9 p.m. in the Our Lady of Grace Chapel. FALL RIVER — Good Shepherd Parish has Eucharistic Adoration every Friday following the 8 a.m. Mass and concluding with 3 p.m. Benediction in the Daily Mass Chapel. A bilingual holy hour takes place from 2 to 3 p.m. Park behind the church and enter the back door of the connector between the church and the rectory. FALL RIVER — St. Joseph’s Church has a Holy Hour every Tuesday from 6-7 p.m., with Benediction at 6:45 p.m. FALL RIVER — St. Michael’s Church has Eucharistic Adoration every Wednesday from 9 a.m. to 5:30 p.m., with Benediction at 5:30 p.m. Falmouth — St. Patrick’s Church has Eucharistic Adoration each First Friday following the 7 a.m. Mass, with Benediction at 4:30 p.m. HYANNIS — St. Francis Xavier Parish in Hyannis, 347 South Street, Hyannis, has Eucharistic Adoration from noon to 3 p.m., daily Monday through Friday. MANSFIELD — St. Mary’s Parish, 330 Pratt Street, has Eucharistic Adoration every First Friday from 7:30 a.m. to 5:30 p.m., with Benediction at 5:30 p.m. MASHPEE — Christ the King Parish, Route 151 and Job’s Fishing Road has 8:30 a.m. Each First Friday Mass ends with exposition of the Blessed Sacrament and Adoration continues until Benediction at 5 p.m. NEW BEDFORD — Eucharistic Adoration is held every Thursday, with Confessions, from 7:30 to 8:30 p.m. at Our Lady of Guadalupe at St. James Church. Please use the side entrance. NEW BEDFORD — There is a daily holy hour from 5:15-6:15 p.m. Monday through Thursday at St. Anthony of Padua Church, 1359 Acushnet Avenue. It includes Adoration of the Blessed Sacrament, Liturgy of the Hours, recitation of the Rosary, and the opportunity for Confession. NEW BEDFORD — St. Lawrence Martyr Parish, 565 County Street, holds Eucharistic Adoration in the side chapel Fridays from 7:30-11:45 a.m. ending with a simple Benediction NORTH DARTMOUTH — Eucharistic Adoration takes place at St. Julie Billiart Church, 494 Slocum Road, every Tuesday from 5:30 to 6:30 p.m., ending with Benediction. The Sacrament of Reconciliation is available at this time. NORTH DIGHTON — Eucharistic Adoration takes place every Wednesday following 8:00 a.m. Mass and concludes with Benediction at 4 p.m. Eucharistic Adoration also takes place every First Friday at St. Nicholas of Myra Church, 499 Spring Street following the 8 a.m. Mass, ending with Benediction at 4 p.m. The Rosary is recited Monday through Friday from 7:30 to 8 a.m. NORTH EASTON — A Holy Hour for Families including Eucharistic Adoration is held every Friday from 3-4 p.m. at The Father Peyton Center, 518 Washington Street. NORTH EASTON — Eucharistic Adoration takes place at Immaculate Conception Church Chapel on the first Wednesday of the month beginning after the 8:30 a.m. Mass, until 6:40 p.m. Those wishing to make a monthly commitment can sign up on the parish website at www.icceaston.org or call the parish office at 508-238-3232. ORLEANS — St. Joan of Arc Parish, 61 Canal Road, has Eucharistic Adoration every First Friday starting after the 8 a.m. Mass and ending with Benediction at 11:45 a.m. The Sacrament of the Sick is also available immediately after the 8 a.m. Mass. SEEKONK ­— Our Lady of Mt. Carmel Parish has perpetual Eucharistic Adoration seven days a week, 24 hours a day in the chapel at 984 Taunton Avenue. For information call 508-336-5549. Taunton — Eucharistic Adoration takes place every Tuesday at St. Anthony Church, 126 School Street, following the 8 a.m. Mass with prayers including the Chaplet of Divine Mercy for vocations, concluding at 6 p.m. with Chaplet of St. Anthony and Benediction. Recitation of the Rosary for peace is prayed Monday through Saturday at 7:30 a.m. prior to the 8 a.m. Mass. Taunton — Adoration of the Most Blessed Sacrament takes place every First Friday at Annunciation of the Lord, 31 First Street. Exposition begins following the 8 a.m. Mass until 9 a.m. Taunton — The Chapel of St. Andrew the Apostle, 19 Kilmer Avenue, Taunton, will host Eucharistic Adoration Monday through Friday from 8:30 a.m. until 7 p.m. Taunton — St. Jude the Apostle Parish in Taunton will host Eucharistic Adoration on Mondays following the 9 a.m. Mass and the St. Jude Novena, until 11:30, ending with Benediction. It will take place at Holy Rosary Chapel during the summer months. WAREHAM — Eucharistic Adoration at St. Patrick’s Church takes place 9 a.m. Thursday through 7 p.m. Friday. Adoration is held in our Adoration Chapel in the lower Parish Hall. † PERPETUAL EUCHARISTIC ADORATION † East Sandwich — The Corpus Christi Parish Perpetual Eucharistic Adoration Chapel is open 24 hours a day, seven days a week at 324 Quaker Meeting House Road, East Sandwich. Use the Chapel entrance on the side of the church. NEW BEDFORD — Our Lady’s Chapel, 600 Pleasant Street, offers Eucharistic Adoration seven days a week, 24 hours a day. For information call 508-996-8274. SEEKONK ­— Our Lady of Mount Carmel Parish has perpetual Eucharistic Adoration seven days a week, 24 hours a day in the chapel at 984 Taunton Avenue. For information call 508-336-5549. WEST HARWICH — Our Lady of Life Perpetual Adoration Chapel at Holy Trinity Parish, 246 Main Street (Rte. 28), holds perpetual Eucharistic Adoration. We are a regional chapel serving all of the surrounding parishes. All are invited to sign up to cover open hours. For open hours, or to sign up call 508-430-4716.
is also survived by his seven grandchildren, Michelle Alexander, Father Christopher M. Peschel, Gregory Peschel, Amanda Ferreira, Ashley Ferriera, Jonathon Peschel, and Michael Forte. John had one great-grandchild, Julian Peschel. A funeral was held on Friday, April 12, followed by a Mass of Christian Burial at St. Andrew’s Church in Taunton. He was buried at St. Joseph’s Cemetery, alongside his mother and father. Donations in his name can be made to the Taunton Regional Dialysis Center, 1 Washington Street, Taunton, Mass. Deacon Francis J. ‘Frank’ Camacho ESTERO, Fla. — Deacon Francis J. “Frank” Camacho, 81, of Estero, Fla. died unexpectedly on Tuesday, March 26. He was born April 23, 1937 in Cambridge, the only child of the late Frank and Louise (Silviera) Camacho. He had been a resident of Estero for the past 24 years, coming from Cape Cod. He graduated from Rindge Technical High School in Cambridge. After graduation, Deacon Camacho enlisted in the U.S. Coast Guard and served his country from 1955 through 1959.
agencies. He was a member and deacon at Our Lady of Light Catholic Community in Fort Myers, Fla. He was also named their director of Liturgy with the responsibility of planning and implementing all parish Liturgies. Deacon Camacho was first ordained on June 7, 1980 in the Diocese of Fall River by Bishop Daniel A. Cronin. He would serve at Our Lady of the Cape in Brewster, Cape Cod Hospital in Hyannis, and as the assistant director of the Diaconate in Dartmouth. 2018; a son, Joseph Camacho who died in 1964; and a daughter, Barbara Peters who died in 2014. He is survived by three children, Leo Almeida of Fargo, N.D.; Susan C. Franze and her husband, William of Brewster; and Francine E. Camacho of South Yarmouth; nine grandchildren and five great-grandchildren. A Mass of Christian Burial was held at Our Lady of Light Catholic Community in Fort Myers. Memorial contributions in his memory be made to the Our Lady of Light Memorial Fund, 19680 Cypress View Drive, Fort Myers, Fla. 33967. Additional services will be held on Cape Cod with burial in Oak Ridge Cemetery in South Dennis. Deacon Bernard Theroux memorial service BRISTOL, R.I. — A memorial service will be held to honor Deacon Bernard Theroux, who passed away at Catholic Memorial Home in Fall River on February 12. A Mass in celebration of a life well-lived, will be held on Saturday, April 27 beginning at 10 a.m. at St. Mary’s Church, 330 Wood Street, Bristol, R.I., with a short reception following Mass in the church hall. Remembrance donations in the deacon’s honor may be sent to: St. Mary’s Church, 330 Wood Street, Bristol, R.I. 02809. Deacon “Bernie” had a 35-year career in service at the Rhode Island Veterans’ Home, most notably as chaplain and director of Volunteer Services. All are welcome to join this service to honor a life so beautifully lived. Anchor expiration date EXAMPLE FALL RIVER — New mailing labels (right) are now printed on all Anchor publications, along with the notice of a $25 subscription amount beginning at renewal time. Below is a sample of the label that shows when the subscription expires allowing readers to renew to keep their subscriptions active. If no payment is received within 30 days of the expiration date, The Anchor will send one reminder notice at a later date. NOTE: We cannot accept credit card payments by phone.